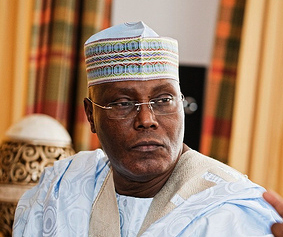 The PDP presidential candidate, Atiku appears to have overcome his Achilles' heel as he gets closer to a reported travel date to the U.S.
Doyin Okupe, a former aide to immediate past president Goodluck Jonathan who reacted to report of the alleged travel ban placed on the Presidential candidate of the Peoples Democratic Party, Atiku Abubakar, by the US, has disclosed that he will be travelling to the US by the end of November. “Atiku contested Presidency in 2007 under AC. Nobody called him a thief then, neither was he known then to be corrupt. I often wonder if the Atiku running for President today is the same that ran in 2007. This orchestrated campaign of calumny against Atiku will not stand because it’s false.